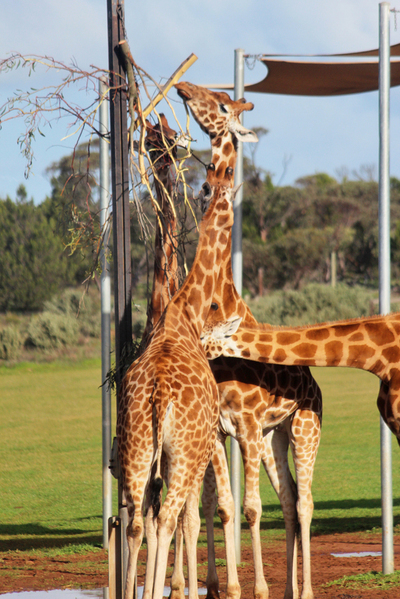 Monarto Zoo is the largest open plains zoo in the Southern Hemisphere. The zoo is about 45 minutes outside of the city--a short drive up the South Eastern Freeway. 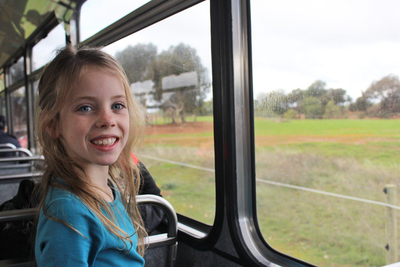 Take the whole family to Monarto for the day and you can pretend you're on your own little safari. Unlike an actual safari you can't drive your own car around the zoo. Once you buy your tickets, or flash your membership card, you can leave your car just outside the visitors centre. From here you can take the walking path to the many viewing platforms, or hop aboard the Zu-Loop shuttle. The busses leave every half hour from the Monarto Zoo visitor centre; prams are welcome aboard, you'll just have to make sure you fold them up on the bus. You can hop on and off of the shuttle at any stop. 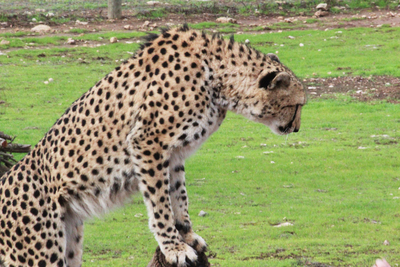 Instead of standing behind a fence you'll actually get to drive through their habitats. The main negative is that the busses aren't ideal for animal spotting. During busy times they can get quite full, which makes it hard when you're trying to settle an argument on who gets to sit by the window. Getting photos can also be tricky as you try to manoeuvre over people's heads to get a good shot. Sometimes the animals can also be a bit far away to get a good view. The lookouts give you an opportunity to spend a bit longer looking at the animals. The shuttle bus stops at three points: the giraffes, the cheetahs, and the lions. 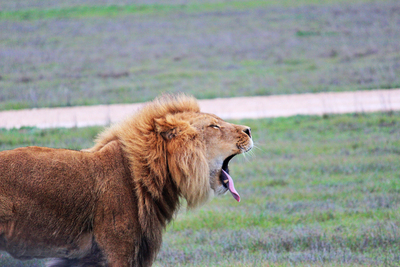 At the lions you can also hop on the separate lion shuttle bus. It's incredible to see the kings of the jungle roaming compared to their smaller enclosures at Adelaide Zoo. If you plan your day well you'll also get to see keeper talks with various animals. The Zu-Loop shuttle isn't the only way to get around. There are walking paths that run through the entire zoo. You're obviously not walking through the animal habitats, but the paths will lead you to each of the lookouts. 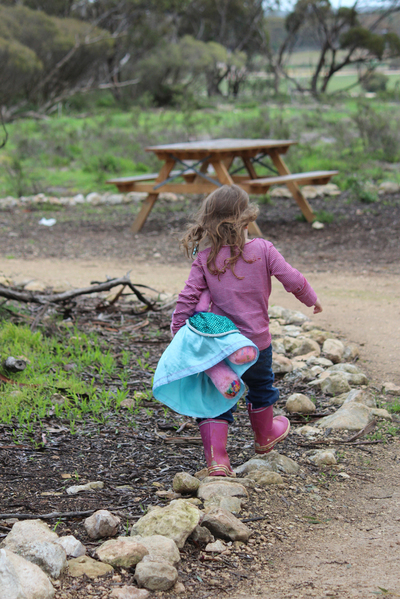 Monarto Zoo is filled with some great native flora; you'll get to enjoy this as you walk. Taking the full walking path might be a bit long for some younger kids. 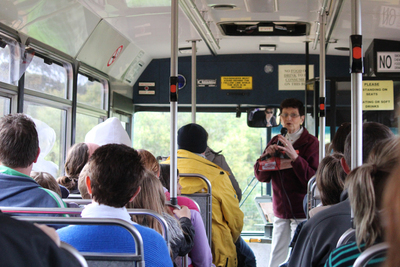 You have the option to catch the shuttle instead anytime you're near a stop. At the Visitor Centre you'll find a cafe and gift shop, as well as some activities for the kids. The cafe has a decent menu with some cheap kids options. From the visitors centre you can also walk through the native animal enclosure and you can visit the chimpanzees. Neither of these are covered by the shuttle. 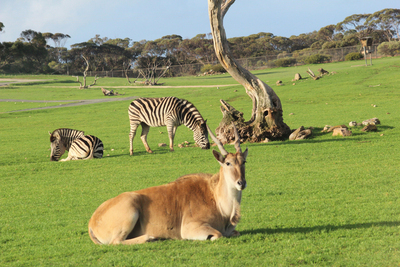 Monarto Zoo is open every day of the year from 10am till 5pm (last entry is at 3pm). Entry is $31.50 for adults and $18 for children. We all got in for free thanks to our zoo memberships--it's a great option if you've got a family that enjoys visiting zoos in SA or interstate. During the school holidays Monarto Zoo has special programs for older kids. Check out their website to find details.